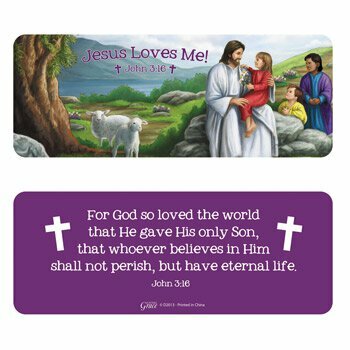 This jumbo bookmark features the image of Jesus visiting with the children with the reminder that "Jesus Loves Me!" Back of bookmark references Bible verse John 3:16. Includes a laminated body for extended use in your Bible or prayer book.